Division of IT offers Storage Administration services for SAN and NAS appliances owned by departments. 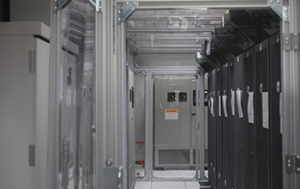 Storage arrays must be located in a Division of IT data center. Monthly charges are assessed based on the complexity of the storage array. Please contact storage@missouri.edu for a price quote. This service is available to all campuses and campus departments in the UM Enterprise. Go to doitservices.missouri.edu to request Storage Administration. Login to the self-service portal with your University user id and password, select Service Catalog, and search for Storage Administration.